Take to the skies for a fantastic 15 Minute Aerobatic Stunt Flight in a Warbird from Tooradin Airfield. Even once your feet are back on solid ground, you'll be on a high for hours! 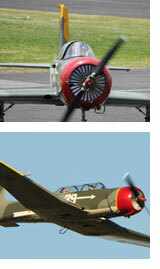 Take to the skies for a fantastic 15 Minute Aerobatic Flight in a Warbird from Tooradin Airfield. To start off you will be introduced to your pilot who will show you around the Nanchang CJ-6A Warbird and brief you on safety and how your flight will work. Then it's time to strap you into the cockpit, start up the engine and chocks away! Take in the beautiful coastal views as you climb for height before the fun begins. 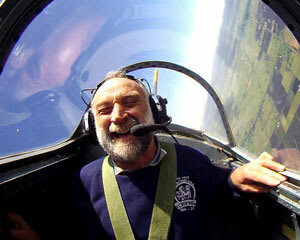 Here we go - aileron rolls, barrel rolls, Cuban eights, wingovers and more. Even once your feet are back on the ground you'll be on a high for hours after. This was a gift and I must admit that at 60 years of age I had some reservations, however the whole experience was fantastic. The pilot was in constant communication and only did what I was comfortable with and in the end, the variety of stunts that we performed far exceeded my expectations. I could not wipe the smile from my face for some time afterwards. All the staff were so accommodating and as a result I will be recommending this experience to anyone looking for a thrill. Felt at ease prior to flight when booking in & preparing. Instructions were clear. Flight was fantastic. Great flight very friendly people. Would highly recommend. I was a bit hessitant jumping into a plane built in China, but in the air, Laurie was very professional in his commentary and handling of the plane.